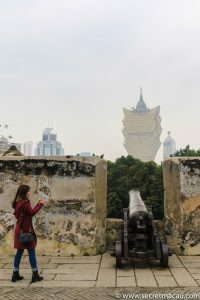 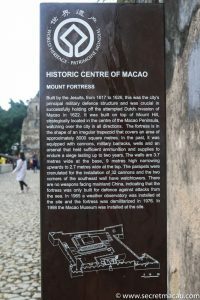 Monte Fort (Fortaleza do Monte, 大炮台), or the ‘Fortress of Our Lady of the Mount of St. Paul’ is the historical military centre of Macau. 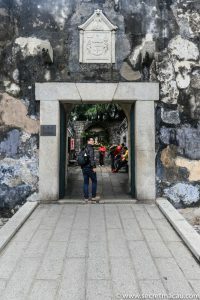 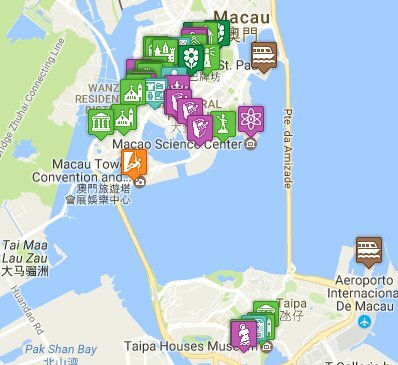 Originally constructed between 1617 and 1625 to protect the Jesuit missionaries in Macau. 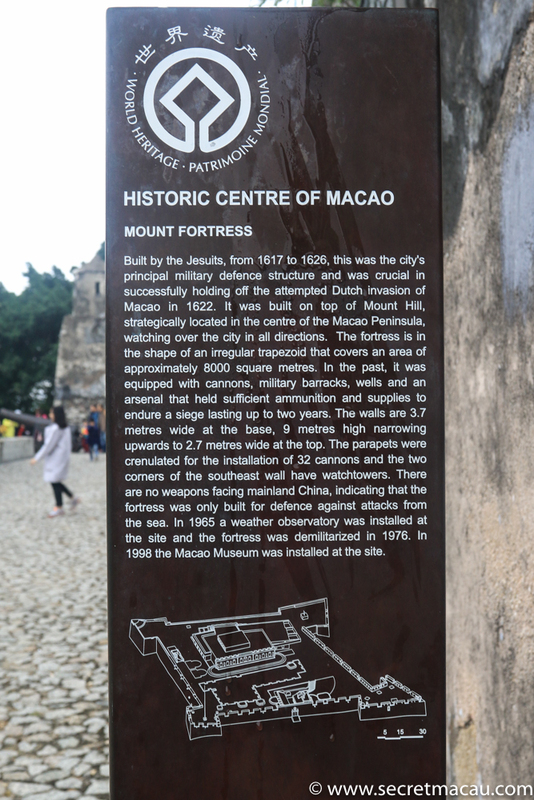 It was later seized by the governor for the defence of Macau. 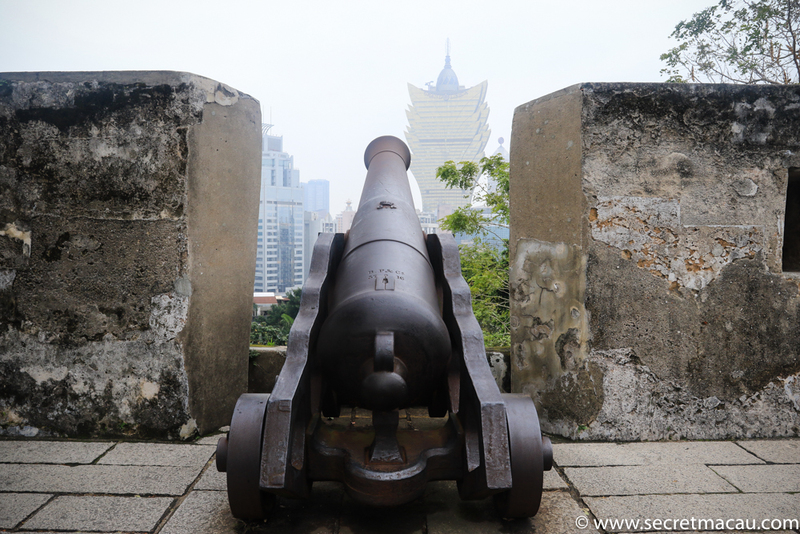 It was well positioned on the 52m Mount Hill, directly overlooking St Paul’s. With 32 cannons and well placed watchtowers, it was crucial in successfully defending the Dutch invasion in 1622. 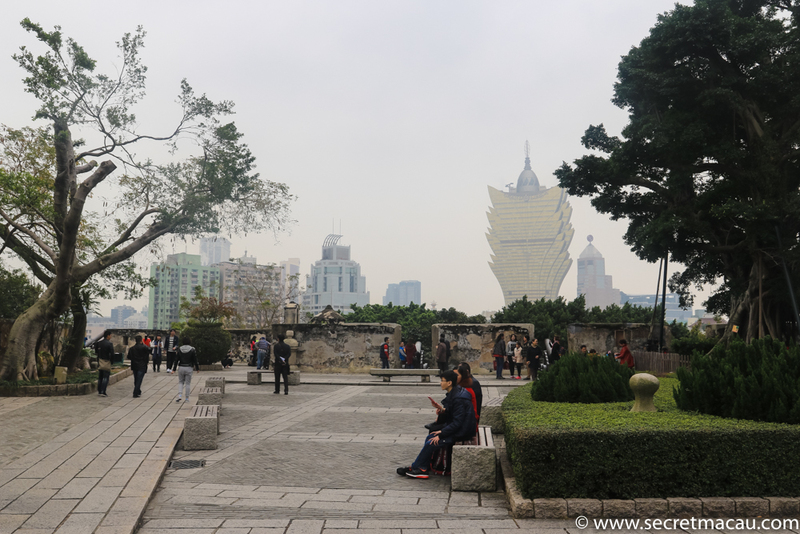 Forming part of the “Historic centre of Macau”, the fort stands on the small hill next to the Ruins of St Paul’s. 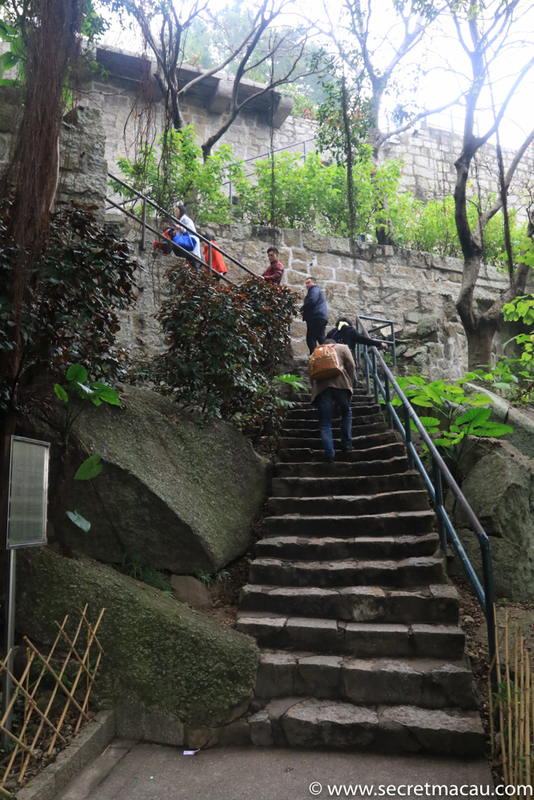 If you climb the steps up to St Pauls – on your left is a small park with signposts to the Fort and Museum. A very short walk will take you to the base of a small cliff, where a short, but steep set of steps climb up to the fort above.